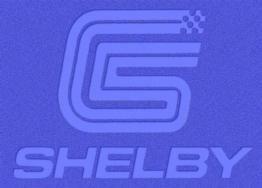 © 1987, Shelby Automobiless Inc. I'll always be a Dodge Boy (®?) at heart, my Dad worked for Chrysler for ~30 years and I grew up driving K-car derivatives. 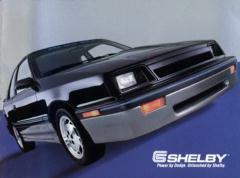 For a short while during school I had the use of a '87 Dodge Shadow ES, all black. The car suited me perfectly, everthing about it just felt right. Within a few short weeks it was totalled, I was crushed. Fortunately though, it was a lease car and I didn't actually own it. When I was young back in '88, I got my first Job at Chrysler. While I was out on the Lynch road1 lot, looking for a car suitable for purchase for a family member, I saw it. That was it, love at first site. I had heard about the Shelby CSX before and had even seen one driving down the road, but nothing prepared me for how I felt about this car. 1 Where Chrysler re-sells employee lease cars and product evaluation vehicles. I don't know what it is about the first car you put down your own hard earned cash for, but I'll always love this car. Even today, after the car is 10 years old and I've owned it for 9 years, I still feel the same behind the wheel as I did way back then. It even serves as my daily driver today. Prototype turbo II, the same turbocharger used in some later Dodge models ('87 GLHS, Shelby Lancers, Daytona Shelby Zs), and previously in the '86 GLHS. 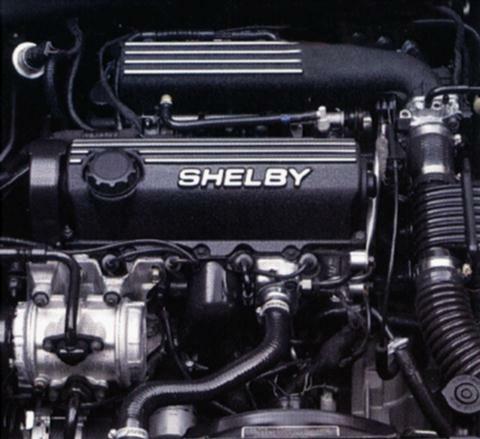 Valve cover and matching intake manifold are flat black with the shelby logo on them. 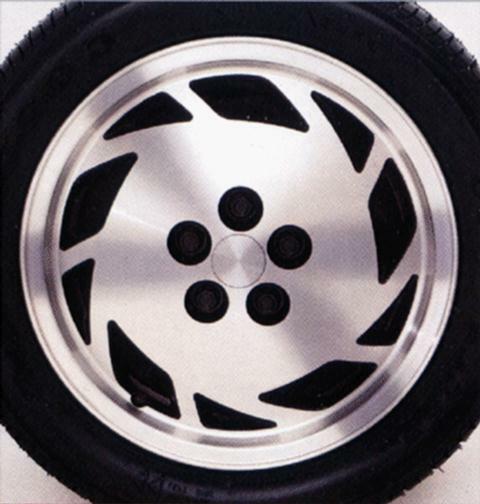 © 1987, Shelby Automobiles Inc.
Shelby wheels, similar to the wheel used on the Shelby GLHS 4 door (omni '86), and the same as the wheel used on GLHS 2 door (charger '87). This wheel is commonly called the Shelby Centurian wheel. The factory equiped tires are Goodyear Eagle VR50 gatorbacks (205/50vr15). Over the years I have used Eagle M+S (205/50vr15) on my winter wheels, and currently Eagle GTII (205/55r15 rated T85). I'm not sure I'd recommend the Eagles to anyone though. I have had a much better experience with BFGoodrich Euro T/As on another car. The enhanced suspension uses Monroe GP gas charged struts, a solid anti sway bar on the rear, and lowered/stiffer springs (1 inch lower?). 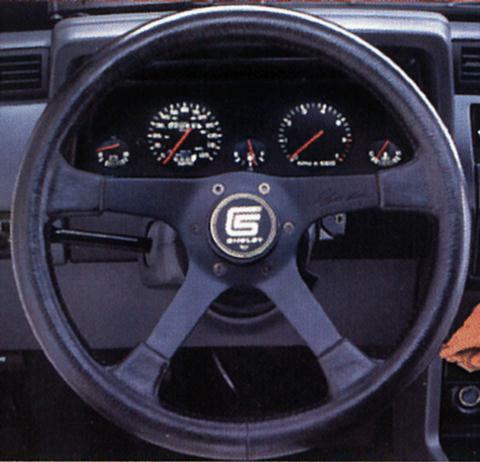 Shelby designed metal steering wheel with 1 inch rubber grip. Take note ShelbyHeads: Yes, rubber. Both my CSX and CSX-T have a rubber grip, not leather. I've seen this incorrectly stated by some other sources. Custom body enhancements include Shelby graphics on the hood, hatch, and doors, plus an enhanced spoiler around the bumpers and sides of the car. The overall look of the car is two tone, black on top, charcoal below that. The highlight color (Shelby blue) is used as a pin stripe along the molding line around the car and for the logos. Click to see the full image seen at the top of this page. It lived its first year as one of 4 Shelby's that made the auto show circuit in '87. So there's fair odds if you went to an auto show that year you've seen my car in person. After that the "Special Vehicles" department put mine out on lynch road as and advertisement to sell all four. That's when I picked it up. Back then I got if for a steal at about $9,900. I've tried to take good care of it, but 9 years is long time and it's starting to take it's toll. Between the 80,000+ miles and a couple of accidents, some areas are begining to show some corrosion. Overall though it still looks pretty good.